This document provides directions for joining a meeting by clicking the host's Zoom link. 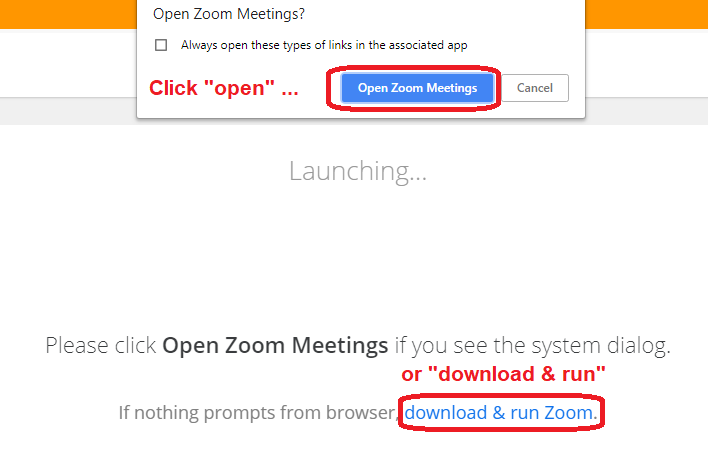 When joining the meeting, your browser will prompt you to either Open, Download & Run, or Join Zoom from the browser window. Choose Open or Download & Run. In a few moments, you will enter the meeting. Be aware that your web cam will probably be live once you join the meeting. 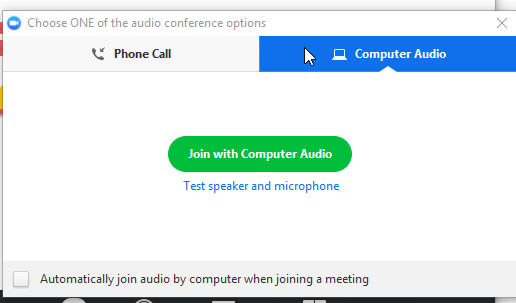 Zoom will prompt you to setup your audio connection when you first enter the meeting.